Things keep getting more and more fun with our planning. We crossed the two year barrier with our countdown, only 23 month to go. Sometimes it seems like forever but when we look at the amount of saving and research required – well time is clicking along at a nice pace. We bought an IKEA wall map and planned out our route (roughly). We don’t plan on having a strict set of destinations; we’ll surely change our minds along the way. But we do want to at least have a rough idea of which nations we’ll visit. I’ll add our rough list below this post. I am also finishing up a rough spreadsheet outlining our expected expenses – or a rough guide to daily budgets per country. Figure it’s a good idea to have a ballpark idea of the funds needed. Right now it’s looking like about 40 thousand (CAD) for 13 months. And to help with our savings our second car has just been sold – marvellous. One recent discovery that is helping with our research, the local library. Baharak and I are picking one of our likely destinations, borrowing 4 or 5 books on the topic and diving in. It helps us share ideas on what we want to be doing, what sort of activities interest each of us and so on. Topic du jour is India. Looks like we’ll stick to southern India on this trip. I wasn’t at all aware of house-boating in Kerala, now it’s a must do item. One item we are struggling with is long term travel insurance (for residents of Quebec). If you happen to know of anyone who has used it or has any info to share please feel free to leave a comment below. Finally – we’ve decided to add a few friends to the website, offering even more travel advice, experiences and photography. You’ll soon see some material from Dee and Linda. And I’ll be adding a post or two on our upcoming Yurt trip. A couple days of canoeing, hiking and enjoying the surroundings of Parc National de Plaisance in western Quebec. Our wish list also includes Japan and an African Safari but that will have to depend on our resources $$. Soooo exciting you guys..I feel like I m going to be touring the world in 23 months!! 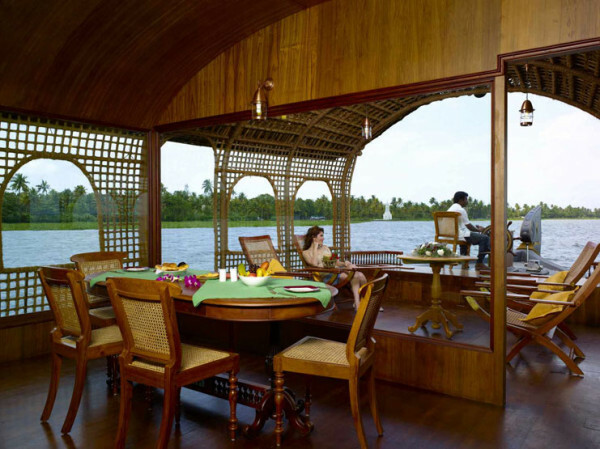 I myself wanted to do the Kerala houseboat tours last year when we went to india but we just didn’t have the time. It is supposed to be lovely! Shima also has similar boat tours which are also supposed to be very nice! I’ll be sure to update this with my trip around Turkey this time!